During Sexual Assault Awareness Month, NJCASA worked to bring deserved attention to sexual violence. We’ve dedicated the last 12 News blog posts to providing information and highlighting voices of our allies and colleagues in New Jersey. To bring our SAAM activities to a close, we hope you join us this Saturday, May 2nd at our 5th Annual SAAM 5K. NJCASA values the conversations and critical funds that our 5K delivers every year, and this year we have so many SAAM endeavors to reflect on. SAAM began with the launch of our Social Media Ambassadors Program to expand our reach through partnerships with well-connected social media activists. This volunteer program ensures that communities will be engaged in conversations about sexual violence beyond April. Applications for the Social Media Ambassadors Program are being accepted through May 8th. On April 17th, NJCASA attended the Student Government Voices Conference at Centenary College. Student Government Association leaders from local colleges and universities gathered to learn about pressing issues, including campus sexual assault. NJCASA led a roundtable discussion on sexual violence and what student activists and leaders can do to create safer campus communities. 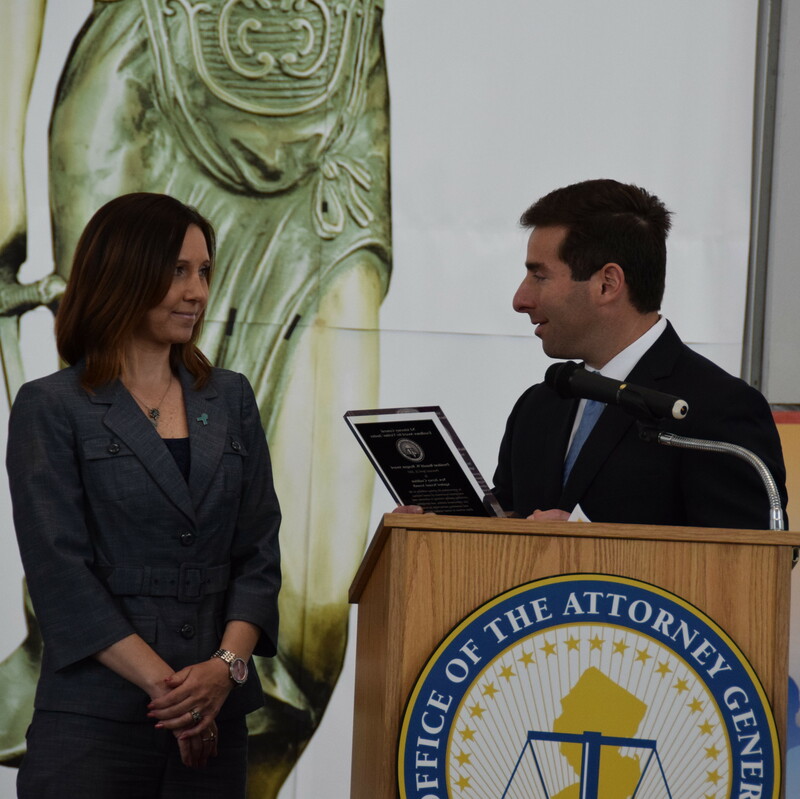 On April 21st, NJCASA attended the Crime Victims’ Rights Week Ceremony and received an Office of the Attorney General Excellence Award for Victims’ Justice. NJCASA has worked closely with the Division of Criminal Justice on legislative changes and law enforcement policy for the betterment of survivors of sexual violence. NJCASA joined the Department of Children and Families in honoring Denim Day on Friday, April 24th. Both NJCASA Executive Director Patricia Teffenhart and DCF Commissioner Allison Blake called for everyone to come together to show support for sexual assault survivors by wearing denim. 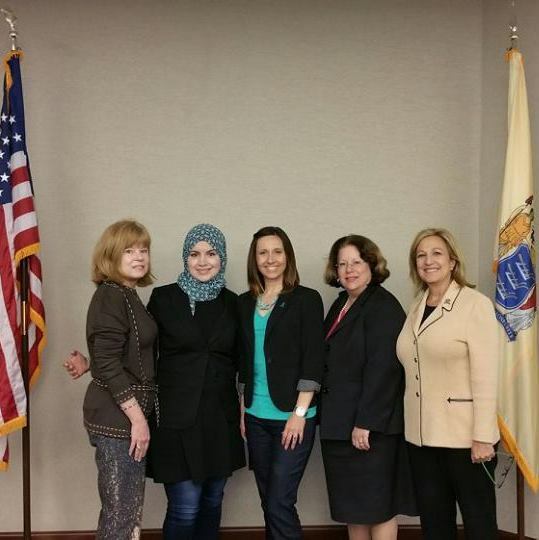 In addition, NJCASA convened a round table discussion with women in the New Jersey legislature to talk about working in collaboration to create safer communities and survivor-centered response to sexual violence. 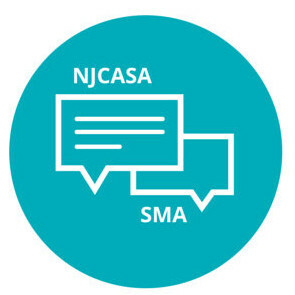 On April 28th, NJCASA and its Law Enforcement Advisory Board informed a statewide sexual violence training for professionals of the criminal justice system. 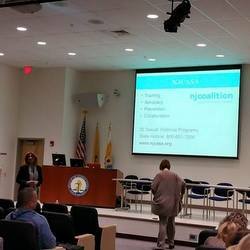 With approximately 120 people in attendance, NJCASA discussed the importance of integrating a trauma-informed response when interacting with survivors of sexual assault. NJCASA’s College Consortium met on April 29th to highlight campus activities and share resources that colleges and universities throughout the state used during Sexual Assault Awareness Month to address campus sexual assault and engage college students as agents of change. This year’s SAAM theme, “Safer Campuses. Brighter Futures.” gave colleges a greater opportunity to discuss the importance of increasing prevention and intervention on every campus. During SAAM, and every day, we thank you. Thank you to the service providers that operate as the front-line support for survivors and their families. Thank you to our colleagues in allied professions who work with us as we strengthen the multidisciplinary response to sexual violence in our communities. Thank you to the donors who provide the critical funding necessary for us to do this important work. And mostly, thank you to the survivors who trust us, inspire us, and humble us.